A Dog Named Leaf is the true story of a paradigm shift. We "crazy" dog lovers (you know who you are) have waited for someone to reveal what happens in our homes every day. 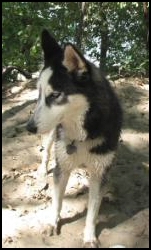 One reviewer wrote, "This is about how a dog with great love actually entered the inner reality of his friend to help save him and was able to succeed where human explanations and efforts failed." Visit Audible.com, itunes.com, or Amazon.com to download. 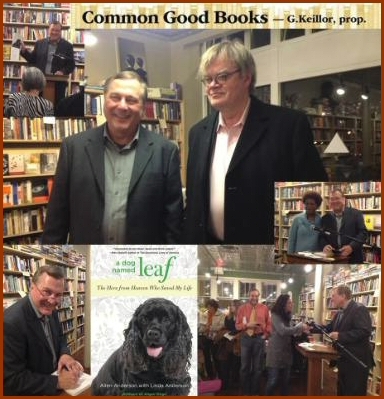 Garrison Keillor and Allen Anderson at A Dog Named Leaf Book Launch. Editor's Notes "Oh my! Be sure you have a box of tissues handy. A Dog Named Leaf is an extraordinary book. What an experience. It is touching and beautiful." Press Release --New Book Asks: "If Faced with a Crisis, Would You Give Your Wife a Memo to Keep Her from Crying? 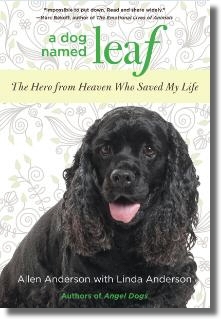 Visit A Dog Named Leaf website at for additional details. "I wasn’t sure I was going to like this book. I have read so many books about how a dog saved the human owner from depression / loneliness / alcoholism / etc. that the theme has almost become a cliché and the books often lapse into sentimentality. A Dog Named Leaf is anything but a cliché. 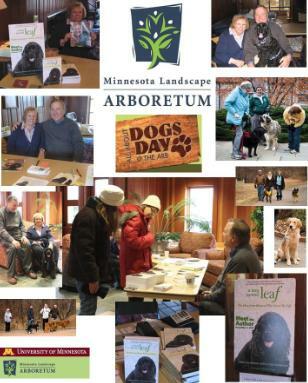 It is a beautifully written, carefully edited book filled with love, humor and spirituality with photos of Leaf scattered throughout..."
"Part Marley and Me and part Jon Katz... the story is endearing, and the many photographs of Leaf running, swimming, and chasing a tennis ball in south Minneapolis are adorable." "Take a break from life’s drama and venture into a world of Leaf, a rescued dog who have changed a couple’s life. Find out how rewarding adopting a dog can be, regardless of how impossible he may seem to take care of at first. 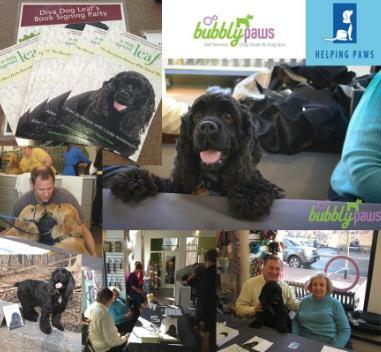 Get the book [A Dog Named Leaf] and be inspired." "If you've ever doubted animals have souls, this book will open your heart and mind to truly believing we are all connected. You will never doubt again. Your life will be enriched far beyond what you could have ever imagined and you will have author Allen Anderson to thank for it. 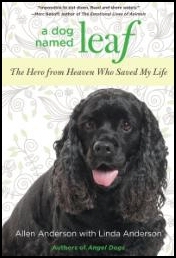 A Dog Named Leaf is a great gift idea for the dog loving friends and family in your life!" 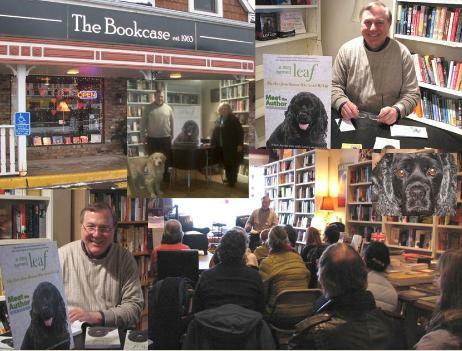 "This touching, almost lyrical book [A Dog Named Leaf] is a very personal story bravely told by the author and his wife... 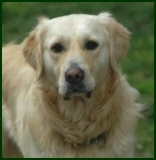 This is a lovely story that will uplift anyone who has ever loved a dog." 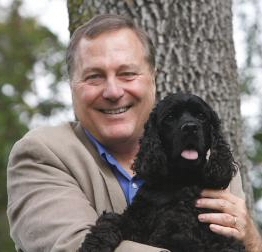 "...The story is about Allen and the dog’s healing process and how they helped each other. In the Epilogue Allen writes about his and Leaf’s relationship, 'We are two souls who entered each other’s lives when we most needed the healing power of a human-animal friendship.'" 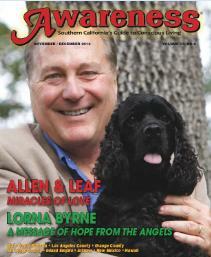 "A true story of health and healing of both Leaf the dog and Allen the person. Anyone who loves dogs and believes in the bond that forms between them and their humans will truly love this book, and realize animals give 'unconditional love and have the ability to heal human hearts.' Great book." "5.0 out of 5 stars. Transcends the Pet-Animal Story Genre by Leaps and Bounds. I finished this book in two sittings. It's a page-turner. It's about every day life in its most usual aspects -- making a living and partnering with your spouse. But it's also about how the past weaves seamlessly with the future to make you whole. It's also about life and death -- enduring a life-threatening illness and having to go way beyond preconceived limits of patience and stamina. "However, the heart of this story is where the golden nugget lies. What you read bypasses the mind completely and rings a bell deep inside you. You ask yourself: Could this really happen? For some, the events described may strain credulity. However, author Allen Anderson brings you step-by-step into the shared world of man and dog in a way that directly addresses the most spiritual part of ourselves. "And it transcends the pet/animal -- human connection books that are plentiful on the market. What you see unfolding is a special inner and outer weaving of events by both human and animal that most of us aren't aware of. "I finished the book and wondered: What do animals really KNOW? Are they doing these kinds of things all the time? Who ARE they, really? And it makes you wonder if you can discover these invisible connections in your own life. 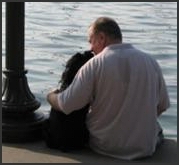 "This isn't another story of a warm-hearted friendship between a man and his dog -- though it is this too. This is about how a dog -- with great love --actually entered the inner reality of his friend to help save him -- and was able to succeed where human explanations and efforts failed. Quite a coup for a little four-legged creature who was once abandoned, and then found by this remarkable author." Visit www.adognamedleaf.com for additional details. 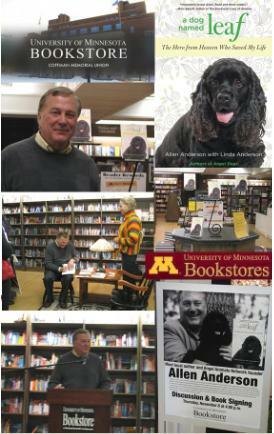 Visit our online bookstore at www.shop.angelanimals.net for secure shopping to purchase autographed animal books that make you feel good by Allen and Linda Anderson.